In fiscal year 2016, we found much reason to celebrate, even as we moved forward boldly with our work in the world's poorest communities. 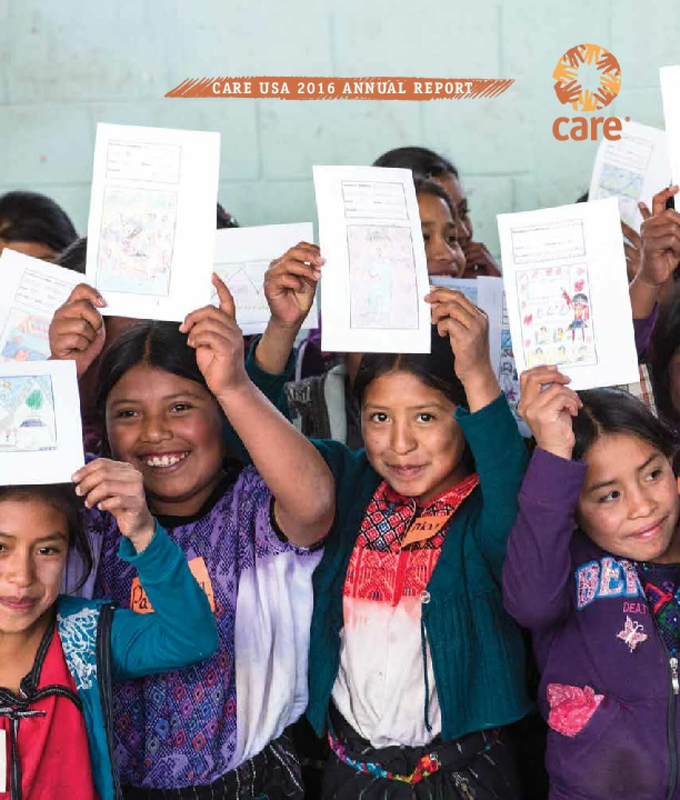 Both CARE and the CARE Package® turned 70 last year! They were born out of a desire to help those clinging to survival in a war-battered Europe. CARE has a long history of responding to the world's greatest needs, and much has changed over time. Today's CARE Package is a village savings group that empowers members — mostly women — through financial independence. It is drought-resistant seeds that better withstand extreme weather, or field schools that help farmers negotiate a changing climate. It's a coordinated "voice" that advocates for vital legislation such as the Global Food Security Act, which passed Congress last year with bipartisan support and was later signed into law by President Obama. It helps ensure that farmers have the resources they need to feed their families and communities. Copyright 2017 by Cooperative for Assistance and Relief Everywhere, Inc. (CARE). All rights reserved.